The Ahool is a giant bat cryptid reported in Indonesia. 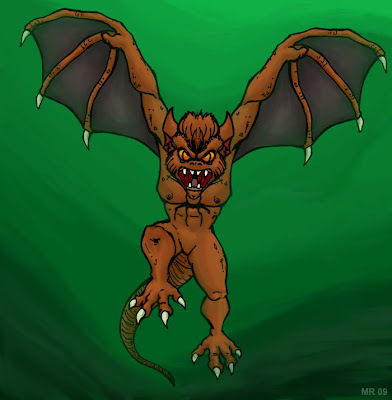 It has a large, monkey-like head, claws, and a ten foot wingspan. The creature's name comes from it's distinctive hooting call. There is speculation that the creature may be an undiscovered species of bat, a giant owl, or a petrosaur.